Princessly Polished: Reminder: Mont Bleu Giveaway Ends Tomorrow! 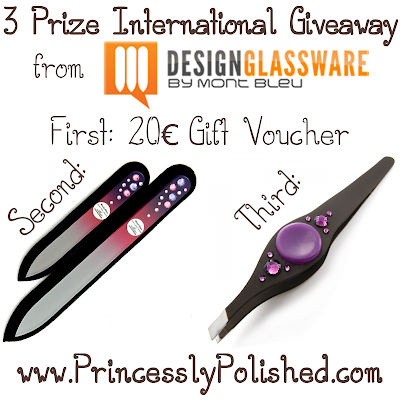 Here is a quick reminder that my International giveaway sponsored by Mont Bleu is ending July 25th! There will be 3 winners of great prizes! Click here to be taken to the giveaway page.